A newspaper reporter sets out to track down a cop killer. A secret agent puts his life on the line to save a town's liquid explosives from crooks. Romeo and Juliet in 1930s England. The owner of the mill and the local lord are in conflict over water rights. The lord wins threatening the mill owner with financial ruin. A young married woman finds herself being stalked by a sinister psychopath. A British agent travels to middle east during the war in order to spark a revolution. In post-WW2 Europe, when the dictator of a small police state dies during surgery, the operating surgeon, who's a visiting American doctor, is held captive in order to preserve the terrible state secret. A drama about a blind scientist who upon regaining his sight discovers his unfaithful wife has stolen his top secret formula for her lover. A young business man (James Mason) is being duped by business swindlers but his gaol bird father is determined to save him. MacPherson: Awa' an' do some work, ye bletherin' skite. 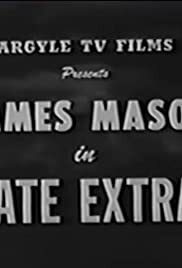 James Mason gets top billing in his first movie, playing an unscrupulous (shall we say, "too fervent") newspaper reporter who is on the trail of a cop killer. Alastair Sim is fun in a minor role as a fellow reporter. There are some parts that seem quite silly (& are unintentionally laughable) by today's standards, but the film has an exciting climax. There are several unexplained issues in the plot that are left dangling.